John Riley reviews the new Tamron SP 70-200mm f/2.8 Di VC USD G2 lens for full-frame Nikon and Canon DSLRs. Designed for users of full frame Nikon and Canon cameras, the Tamron SP 70-200mm f/2.8 Di VC USD G2 lens is a new, upgraded optic with moisture and dust resistance, faster AF and improved 5 stop VC (Vibration Compensation). Intended as a premium quality lens, it arrives hot on the heels of various marque lenses that have been proving to be very strong performers. Let's see how the Tamron fares as it joins the fray of 70-200mm zooms, using the Canon EOS 5DS R camera body for this review. Starting at the front of this substantial lens, which weighs in at a hefty 1500g (1485g for the Nikon version), we find a generously sized petal lens hood that bayonets cleanly and crisply onto the lens. Its click stop is sufficient to hold the hood firmly in place, but not excessively tight. There is a 77mm filter thread. The zoom ring lies behind this, reasonably wide and although smooth in operation it does not have any silkiness in its feel. The lens does not extend on zooming, nor does it do so on focusing. 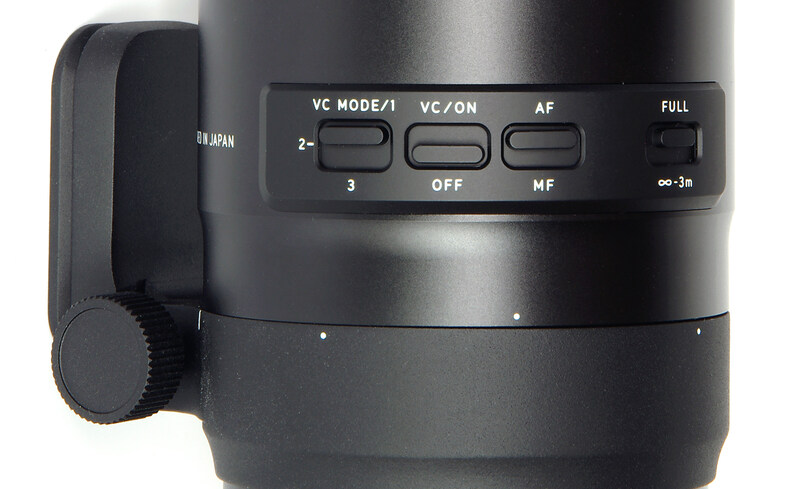 The focusing ring is smaller than the zoom ring and again operates smoothly but without a silky feel to it. The focusing scale is housed under a protective clear plastic window, with indications in feet and metres. The lens focuses down to 0.95m (37.4 inches), offering a maximum magnification of 0.16x, or 1:6.1. Manual focusing tweaks can be applied at any time during AF operation. Closer again to the camera body are located a series of switches. The AF range can be selected between Full and between infinity and 3m, useful perhaps when shooting more distant subjects to prevent any possibility of the lens hunting through its full range. The AF/MF switch and VC (Vibration Compensation) on/off switch are both self-explanatory. There are three VC modes selectable via the last of the switches. Mode 1 is standard and stabilises the compensation of lens and viewfinder image equally. Mode 2 is for panning shots. Mode 3 is similar to Mode 1 but prioritises stabilising the lens over stabilising the viewfinder image, offering therefore an improvement in the speed of the process. A 5 stop advantage is quoted for the VC system. The usual tripod mount collar is well made and looks well up to the job. The lens can be rotated into portrait mode or any other point by loosening the screw provided. This is a tremendous convenience for switching between landscape and portrait orientated shots when the lens is tripod mounted. Lens construction is a complex 23 elements in 17 groups, with a 9 bladed diaphragm and e Band and Fluorine coatings. There are both LD (Low dispersion) and XLD (Extra Low Dispersion) lens elements. The lens is also moisture and dust resistant, an indispensable feature for use in challenging outdoor shooting. The diaphragm is an ultra-smooth electromagnetic design, now on both Nikon and Canon variants of the lens. Although quite a heavy combination with the Canon EOS 5DS R body, in practice this does not seem too much of a burden. The package balances well and operates efficiently. Although it depends on the individual photographer and their grip, it is possible to nudge the manual focus ring or even one of the switches as the hand has to reach over them to gain access to the zoom ring. Lens compatibility with various Tamron accessories enables use with the Tele-converters TC-X14 (1.4x) and TC-X20 (2x), which will extend the focal length range of the lens. There is also compatibility with Tamron's TAP-in console, a decvice that makes a USB connection to a PC. Updating of lens firmware and some lens adjustments can be made easier in this way. Notwithstanding very minor handling issues, the lens is very pleasing to use, focuses swiftly and is an efficient photographic tool. Sharpness is generally excellent throughout. Starting at 70mm, at the centre results are excellent from f/2.8 to f/8, very good at f/11 and f/16 and drop a little but remain good at f/22. The edges are very good at f/2.8 and f/4, excellent at f/5.6 and f/8, very good at f/11 and f/16. The edges at f/22 do suffer from diffraction and are quite soft. The centre at 100mm is excellent from f/2.8 through to f/11, and at f/4 is actually pushing towards the point where it could be described as outstanding. At f/16 sharpness is very good, and still good at f/22. The edges at excellent from f/2.8 to f/11. very good at f/16 and become soft at f/22. 135mm sees excellent central sharpness from f/2.8 to f/8, very good results at f/11 and f/16 and still a good level at f/22. The edges are excellent from f/2.8 to f/8, very good at f/11 and f/16 and become soft at f/22. Results at 200mm are maintained extremely well. At the centre, we have excellent sharpness from f/2.8 to f/8, it is very good at f/11 and f/16 and good at f/22. The edges are excellent from f/2.8 to f/5.6, very good from f/8 to f/16 but are again quite soft at f/22. The overall picture is one of a lens with extremely even sharpness, with edges closely matching the centre, with a very high level of performance. CA (Chromatic Aberration) is almost perfectly corrected at the centre of the image field, at all focal lengths. Correction is not quite so perfect at the edges, but not far behind and definitely a credit to the lens designers. CA is not readily observable in images and can be corrected in software. It is unlikley that additional software correction will be needed for most subject matter. No flare was observed throughout the review period. Admittedly the weather conditions were appalling throughout the review, meaning that no direct sun was available to shoot towards, but light sources and high contrast edges could induce no flare whatsoever. Most zoom lenses show distortion, some returning quite high figures, but this new Tamron lens has a very impressive set of results. At 70mm, barrel distortion is -0.962%. This changes to pincushion distortion as we zoom, measuring +0.139% at 100mm, +0.749% at 135mm and +1.39% at 200mm. These figures are unlikely to be noticed and in any event could be reduced still further in software if desired. Bokeh is the quality of the out of focus areas in an image. This is of course easier to notice in a telephoto lens and probably especially important for portraiture, flower studies and any other applications where the subject is sharp but the background rendered out of focus. Tamron have succeeded in making a very sharp lens with very pleasant bokeh and with smooth gradations throughout. The VC system makes a very ambitious claim of 5 stops advantage, but in reality it can perhaps even exceed that slightly. At 200mm I was able to make a sharp image at ¼ sec, which is ridiculous by conventional standards, where received wisdom would suggest 1/200 sec is the absolute minimum without VC. There are of course many applications where a tripod is still needed, especially macro photography where the point of focus is critical, and in these circumstances the instruction are clear in stating VC should be switched off. 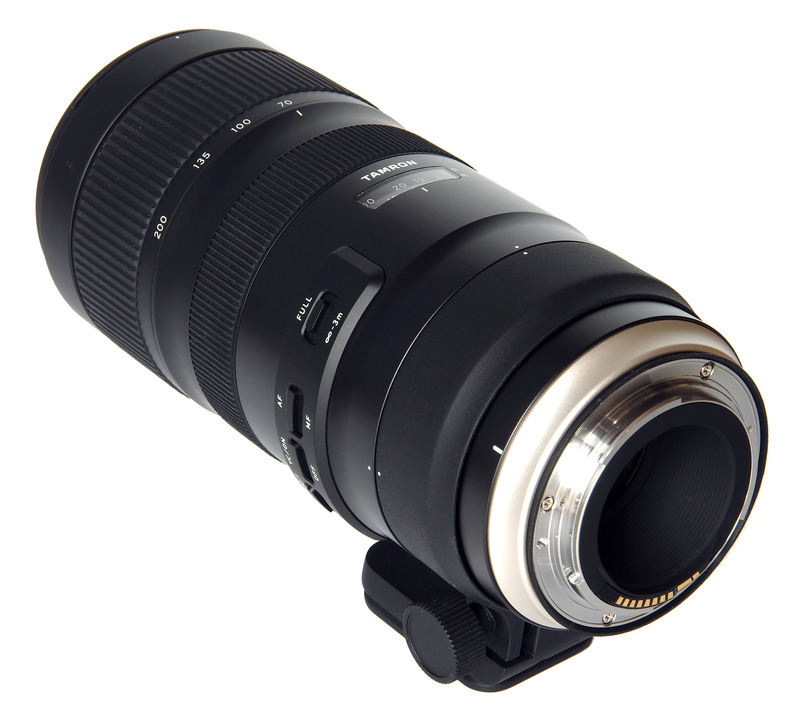 The Tamron SP 70-200mm f/2.8 Di VC USD G2 is priced at £1349. It is possible that the first version of this lens, the Tamron SP 70-200mm f/2.8 Di VC USD, might still be available at £1099 and there are also lower priced options. 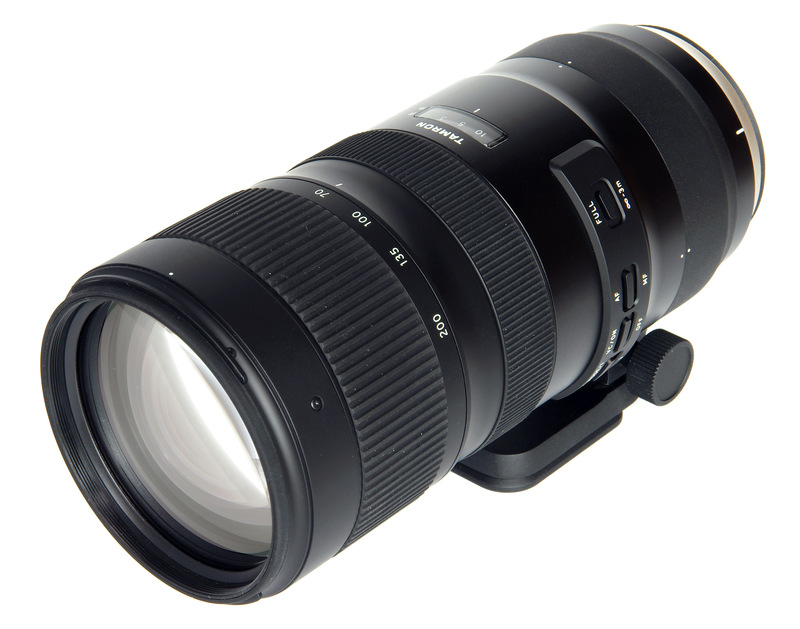 The Sigma 70-200mm f/2.8 EX DG OS HSM is £729, and the Tamron 70-200mm f/2.8 Di LD (IF) Macro is £549. Other marques offer similar specifications, such as the Nikon AF-S Nikkor 70-200mm f/2.8E FL ED VR at £2649. The previous model, the AF-S Nikkor 70-200mm f/2.8G ED VR II, may still be available at £1999. The Sony G Master FE 70-200mm f/2.8 OSS lens is priced at £2499 and the Sony FE 70-200mm f/4 G at £1249. There are other examples to measure VFM against, such as the Sony 70-200mm f/2.8 G SSM II for Alpha DSLRs (£2799), the Canon EF 70-200mm f/2.8L IS II USM (£1848) and the HD Pentax-D FA* 70-200mm f/2.8 ED DC AW (£1699). Offering as it does top-of-the-line performance on a par with the most expensive lenses, at a much lower price, then the Tamron SP 70-200mm f/2.8 Di VC USD G2 looks a very attractive proposition. The Tamron SP 70-200mm f/2. G2 is a magnificent lens at a really attractive price. So is it a step up from Gen 1 it's replacing? Any mention of a Sony A mount version? So is it a step up from Gen 1 it's replacing? Any mention of a Sony A mount version? I would say it's step up, yes. There's no Sony A mount listed so far, nor Pentax K.
Does anyone know the different market shares each mounts has: Canon EF, Nikon, Sony E, Sony A, Pentax K, etc. So you can see whether a lens manufacturer like Tamron would bother to release a lens on anything other than Nikon and Canon? I really don't understand the comments on this review. 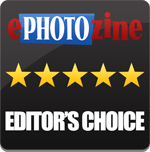 Tamron like any lens company produces products that correct/improve their previous examples. It's obvious. Duh. As for requesting info on which company brand level is most popular, what does that achieve!!? Tamron many years ago were brave enough to introduce the adaptor lense mount, Google it. I had an olympus and cannon at the time and get this i could use the 3 tamron lenses on both systems. So here we are, Darwin (evolution of the species). Of course it's a better lens. But a better lens will not make you a better photographer, it will just sharpley show your inability. As for the 2nd critism about mounts!? This lens based on performance and price will definitely be a big hit. Therefore other less recognised mounts will naturally be introduced due to it's qualities/and attractive price. Supply and demand. If because you bought into a system that Does'nt support the lenses you need to capturing, my question would be why did you comitt photographic suicide knowing your options are limited!? Boy calling wolf. I am 51+ not sponsored by any company, i have used miniaturę to large format cameras. This lens will save me close to £1000 because Nikon have ignored their customers, probably spend a bit of that saving on Sigmas new 50mm. produces products that correct/improve their previous examples. It's obvious. Duh. As for requesting info on which company brand level is most popular, what does that achieve!!? Tamron many years ago were brave enough to introduce the adaptor lense mount, Google it. I had an olympus and cannon at the time and get this i could use the 3 tamron lenses on both systems. So here we are, Darwin (evolution of the species). Of course it's a better lens. But a better lens will not make you a better photographer, it will just sharpley show your inability. As for the 2nd critism about mounts!? This lens based on performance and price will definitely be a big hit. Therefore other less recognised mounts will naturally be introduced due to it's qualities/and attractive price. Supply and demand. If because you bought into a system that Does'nt support the lenses you need to capturing, my question would be why did you comitt photographic suicide knowing your options are limited!? Boy calling wolf. I am 51+ not sponsored by any company, i have used miniaturę to large format cameras. This lens will save me close to £1000 because Nikon have ignored their customers, probably spend a bit of that saving on Sigmas new 50mm. 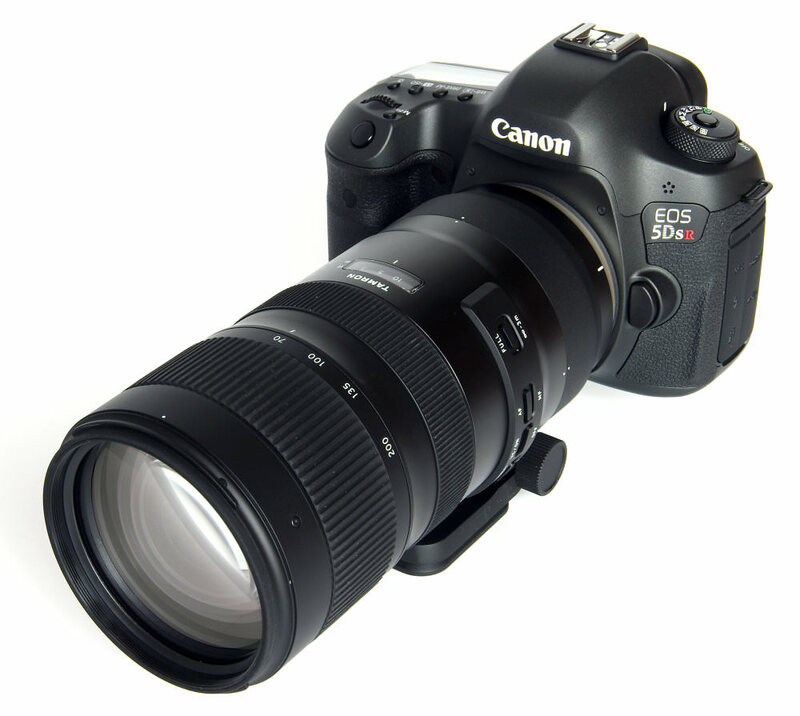 I am planning to buy this lens for Wildlife (large animals including Elephants). I would be using it with a D7200 where it would give me 105-300 mm range. Would it be a good performer on the Crop Sensor D7200 for Wildlife ?